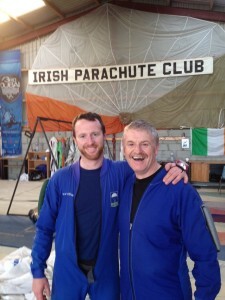 A huge Congratulations to Phelim Larkin who successfully passed his Levels 3,4,5,6, & 7 yesterday at The Irish Parachute Club!!! Well done Phelim, keep up the great work!!!! And also Jody Conlon who successfully completed his AFF Level 7!!!! Blue Skies and soft landings for the summer of 2015!! PreviousPrevious post:We’re Open!!! 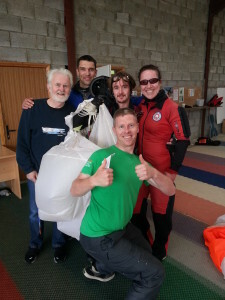 !NextNext post:Sponsored Skydives for Our Lady’s Children’s Hospital, Crumlin.